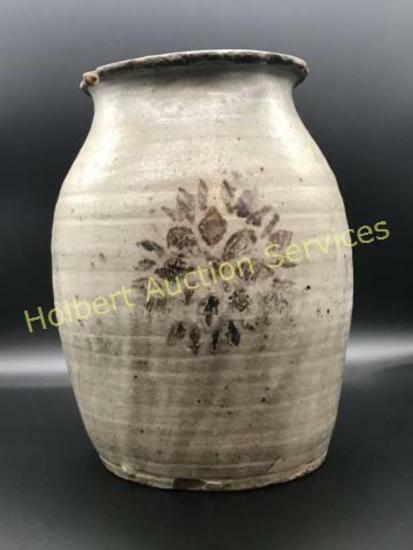 Multi-Consignor Auction Including: Sterling silver flatware, Coins, Currency, Art, Paintings, Southern Antiques, Advertising, Pottery, Sports Cards, Jewelry, Costume Jewelry, and Much More! Important Announcements: Welcome & Enjoy! Payment Instructions: We accept major credit cards and wire transfers only. A 20% online buyer's premium will be added to all sales conducted via Proxibid. There will be no sales tax charged for online sales unless you live within the boundaries of South Carolina. Other Payment terms can be arranged. Please contact Auction Company Prior to Auction for Approval. Shipping Instructions: In State & Out of state buyers - items will be shipped either by USPS, FedEx, or UPS. An email will be sent at the conclusion of the auction for you to make your decision on shipping choice. Holbert Auction Services will use the UPS store in Greenwood, SC for all or most of our shipping. Any other arrangements must be provided by the buyer within 24 hours of auction close. Buyers are responsible for all shipping cost. Shipping charges will be applied to your credit card unless shipped by our local UPS Store. All items sell AS-IS with no warranties or guarantees expressed or implied. All sales final. Any bidders with credit cards that are declined on reconciliation day will be charged a $30 processing fee to run another credit card- NO EXCEPTIONS! Preview Date & Times: February 15 & 16, 2019 from 12:00pm - 5:00pm unless other arrangements are made. Checkout Date & Times: See "SPECIAL TERMS OF SALES" and "SHIPPING INSTRUCTIONS".